Billionaire heiress Countess von Sherone is the epitome of class and taste, a shining star of the upper echelon of Manhattan's elite. That's Grace's public persona. On a more personal front, she's a bit of a contradiction. Genuine and kind, down to earth and generous, she touches the lives of the people who know her, but she often feels like she lives a life of least resistance, following the groundwork laid by a powerful father and a coldly imperious mother. But more and more glimmers of independence have been popping up since her father's sudden death a month ago. 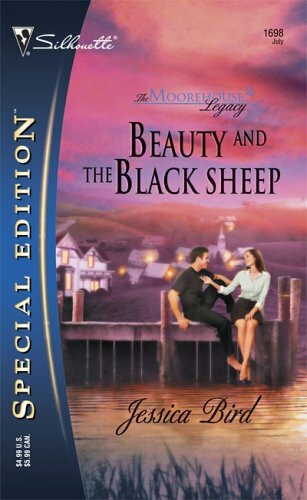 She separated from her overbearing husband and filed for divorce, she's taken on the naysayers on the board of the philanthropic Foundation she now runs, and, when faced with the horror of the vicious murders of two of her friends, she hires the top man in the field of personal protection, John Smith. On paper, he is a man who doesn't exist, but the scars on his body tell a gritty tale of combat and survival under the worst of circumstances. Once a decorated Ranger and covert ops specialist, the man now known as John Smith is as goal oriented and single minded as anyone can be. His job is to protect the countess, and he will do so, regardless of the fact that the woman makes his blood boil and pulse pound. No matter that her scent and touch drive him mad with a hunger only she can satisfy. He doesn't sleep with clients, and if his personal code isn't enough, just knowing how out of his league she is should act like the chilliest of cold showers. That it doesn't is a source of frustration and fury in him. That he needs her so much is a weakness he can't afford if he wants to keep her alive. A madman is stalking the movers and shakers in her inner circle and he refuses to allow him to claim Grace as a victim. Even if the first person he needs to protect her from is himself. Okay, I admit it, I have a weakness for alpha males in romance. I like the urbane male characters well enough, but it's the growly, snarly, surly, overprotective, jealous as hell, I'm-denying-my-feelings-for-your-own-good types that really make my heart ache when they tumble headlong into the one situation they can't handle without an amusing amount of sheer idiocy: love. 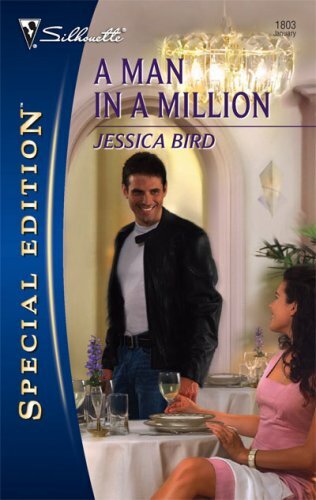 And if you're familiar with J.R.Ward's BDB series, you know exactly the type of alpha male heroes I'm talking about. 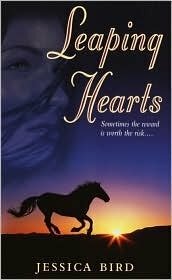 John Smith is the closest I've come to that sort of hero in the books of Jessica Bird, Ward's nom de plume for contemporary romance. Loved. Him. And the nice thing was, I really liked Grace, too. She was a strong female lead with a lot of heart, an encouraging amount of spitfire, and a deep well of self respect, even under stressful circumstances. I especially appreciated her journey as she stepped out from under the eaves of familial responsibility and obligations concerning public appearance and finalized the important steps of grasping for her full independence. Together they sparked an inferno off each other, but individually, they were complex and layered characters in their own right and were both very likable for it. Thankfully, they were also front and center of the book, with few extraneous plot threads muddying up the evolution of their relationship. Lately the romances I've read have been a little light on the actual romantic development, with a distressingly convoluted amount of subplots and superfluous distractions, so it was nice to spend some time with a more old school, quintessential romance storyline for a change. Not that there weren't subplots and depth in the plot arc of the book. There were. The suspense aspects were widely scattered through the book, taking a second seat to the romance and to the character development. In some books that would be a problem, but as these characters were set up as protector and protected, away from the active crime investigation, it would've felt peculiar if it had a larger role. I even questioned some of the believability of Smith being so clearly kept in the loop of the ongoing serial murder investigation by the lead investigator on the case. I'm not sure that was particularly believable, regardless of Smith's background and his current position. I do wish that some of the other plot threads, like the tense relationship between mother and daughter, the end of Grace's marriage, and especially the introduction of Callie, had been given a wider berth for development, because there were times when the we-can't/we-shouldn't/we-will sexual and emotional angst between John and Grace got a bit repetitive and drawn out about midway through the book. I would have appreciated something plot-driven to focus on to help move the story along a little quicker through that without the same-argument/different-room feeling in a couple of places. And there was one scene late in the book that didn't work for me at all in which Grace slips out of her condo and goes for a run by herself. I just couldn't see Grace doing that given the increased danger so it seemed a bit contrived and came across to me as a pretty heavy-handed way to introduce a new character and subsequent plot twist and create a major conflict between Grace and John. Honestly, though, all of that was fairly minor when held up against all the good stuff, and didn't do much in the way of hampering my full and complete enjoyment of this nifty little romantic suspense so well-flavored with contemporary romance. 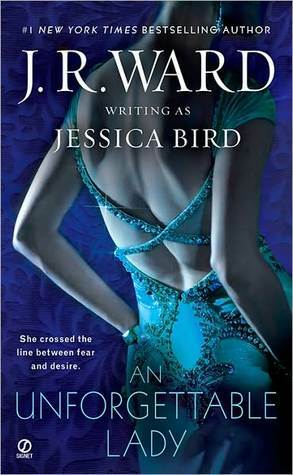 This is a re-release of an earlier publication by J.R.Ward as Jessica Bird, and I've had the pleasure of reading many of the books she's released as Bird. This one is definitely the first one I've read with such easy-to-see similarity between John Smith and some of the more fearsome Brothers of BDB. If you like your male romantic leads as heart-poundingly alpha as I do, you definitely shouldn't forget An Unforgettable Lady.